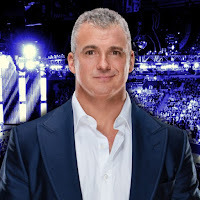 WWE still has significant creative plans for SmackDown Commissioner Shane McMahon going into WrestleMania 35 season. There are plans for Shane to undergo a character change during the first quarter of 2019, according to the Wrestling Observer Newsletter. There's no word yet on exactly what they have planned but this will tie in with Shane's World Cup tournament win at Crown Jewel and Team SmackDown losing all of their matches on the main card of the Survivor Series pay-per-view. Shane's character change will likely be a set-up for his match at WrestleMania 35. As we've noted, the original plan was for Shane to face Daniel Bryan at WrestleMania 35 but that plan was likely change when they made the decision to put the WWE Title on Bryan. WWE was still teasing Shane vs. Bryan right before the title win on the recent episode of SmackDown but Shane vs. Bryan is no longer a direction for WrestleMania. It was believed that Shane's planned heel turn with the World Cup win was leading to the WrestleMania match with Bryan. It was also believed that the Shane heel turn had been dropped but it will be interesting to see if they continue with the turn now that they still have plans for a character change for the SmackDown Commissioner. There's no word yet on what WWE has planned for the new storyline with Shane and The Miz that began on this week's SmackDown but a Miz vs. McMahon match seems possible.